Michelle and I both come from families of small-business owners. In fact, I owned and operated a small sign company in North Louisiana before moving back to the lake area to reinvent my advertising career. Michelle and I spent many good years in the Southwest Louisiana advertising scene working for other advertising agencies and production companies; all valuable time invested. Combining our experiences and talents helped us develop ideas on how to run an effective creative agency in this market. We looked hard at the deficiencies in the creative market, and developed processes based on our skills that would help our brand fill the voids. This has proved to be an effective strategy, allowing us to grow our business in creative ways, bringing in the small business clients we were looking to serve. We understand the challenges small businesses with modest advertising budgets face. That is why it is extremely important for our business to grow smart. It means being nimble, keeping our expenses low, our size manageable, and our creative quality high. We know we'll have to work harder to do this, but in the long plan we'll be a stronger business for it, and our clients will receive more valuable marketing tools as a result. There are a lot of factors that come into play when opening any small business; timing, funding, existing customer base, competition. These are all things that you have to think about, and even more so in uncertain economic times. When businesses cut their budgets, advertising is usually the first thing to go, so we're always facing that fact. Our job is to provide the best final creative communication we can at an affordable rate. 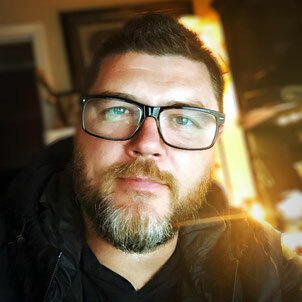 Surviving usually comes to down to this; how good is your service or product, and are you willing to work harder than you've ever worked for your brand to be a success? You can't go into business—especially a small business—if you expect it to be easy all of the time. What is it worth to you? Can you push yourself, or your service, to be better even when times are tough? That's the key, at least for the Parker Brand. For us, perseverance and commitment to our business equates to serving our family, and ultimately our brand. Our business is built around marketable skills that continue to be refined. It takes the sting out of the challenges we face, knowing that they only make us better at what we do. I always say that a creative agency is only a good as their oldest, most talented team member. For the Parker Brand that means Michelle and I have to always add to our knowledge base, and expand our skills. Our clients are making that possible.  The best part of the Parker Brand comes from getting to do what we love to do with only our imagination as the limit. We're able to entertain any idea as a possibility. Beyond that, we get to help small businesses build better local and regional brands. From our perspective, there's really no reason that a small business can't look great. Advertising, when it's working, can bring hope to a small business. There's really no better feeling than knowing you've used your skills to help another brand succeed. We take a very realistic view of our business and what it's really all about. In our industry the deadline is king; there is always that looming about. Still, using rabid project management techniques helps us to keep the clock in check. Deadlines can make stress amp up in our industry. You either thrive in it, or you get left behind. The Parker Brand was a dream, and hard work makes the dream a reality. I encourage others to put their small business plans into play, and when they need help our brand is there to provide it. My advice is this; don't let anyone tell you that you can't do something. If you've got the idea, the means, the drive and the time, then go for it. There's certainly a risk involved in opening a business during tough times, but with solid planning and the right motivation it can be a calculated risk, which is always better. If you've got your plan in order, go ahead and take the Nestea plunge.